NAUI Divemaster – Acest curs de scufundari reprezinta cea mai inalta certificare la nivelul de leadership in cadrul NAUI, cu exceptia Instructorului. 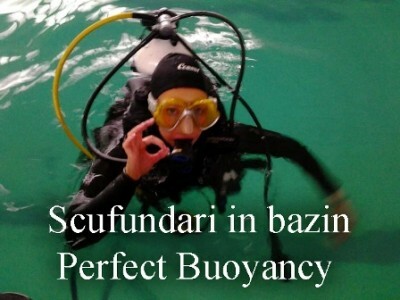 Cursul de scufundari NAUI Divemaster este destinat sa perfectioneze scafandri cu experienta in tehnica scufundarilor, in vederea organizari si conducerii activitatilor de scufundare cu scafandri brevetati. – Sa detina certificare NAUI First Aid for Dive Professionals ori echivalent. – Varsta minima de participare 18 ani. – Apt din punct de vedere medical, fizic si psihic pentru a desfasura activitati de scufundari. – Sa faca dovada a cel putin 60 de scufundari, in diferite conditii de scufundare, adancime si locatii (minim30 hours bottom time). – Sa fie apt din punct de vedere medical pentru efectuarea scufundarilor de agrement. – Este necesara achizitionarea manualelor NAUI Scuba Diver, NAUI Advanced Scuba Diver, NAUI Rescue Scuba Diver si NAUI Master Scuba Diver. Solicita oferta de pret pentru manuale. – insotire scafandri, organizarea si conducerea de scufundarilor. – Pre-dive gear check for self and buddy. – Entry, buoyancy check, swim to and from dive area, and exit. – Distance swim – 880 yards (805 m) total during the dive. – Descents, underwater swimming, and ascents. – Make a simulated decompression stop at 15 feet (4.6 m) for five minutes. – Remove, replace and clear a regulator. – Regain primary regulator from behind the shoulder; replace and clear. – Maintain proper buoyancy using weights, breathing, and BC. by the class during daylight. transporting victim to shore or boat, victim care and accessing emergency systems. is to be evaluated on depth of coverage as well as safety and control measures. Performing as a Divemaster, assisting an NAUI Instructor, organize, and assist during an early open water experience for a class of student divers. This may be accomplished by having the Divemaster class act as entry level student divers and individually rotating through the Divemaster role during a single dive. setting from that of the previous dive is allowed. record. If night diving is not possible, a simulation should be utilized. scuba dives and one skin dive. The greatest possible variety of diving situations should be used. Divemaster is to conduct a debriefing. All diving activities are to be logged. to be presented wherever possible. equipment, variations in types of gear, incorrect wear and handling, and pre-dive equipment checks. – Actions to be taken if an emergency occurs, including effective use of assistants and equipment, underwater communications, diver recall methods, search techniques, assists and rescues, victim care and handling, emergency and first aid equipment, accessing emergency systems, and accident reports. – Techniques and problems associated with open water rescues. Areas to be covered include rough water rescue considerations, conducting search and recovery operations, and treatment, care and handling of unconscious divers. – The physical and biological aspects of the diving environment with emphasis on the local area, including plant and animal life, the importance of fostering a regard for ecology and conservation, pollution, water movement, and characteristics, tides, currents, waves and surf, shore and bottom conditions, surface hazards and wind effects. – Legal concepts such as negligence, standard of care, the necessity for liability insurance, waivers and indemnity agreements, taking of artifacts and game, and the legal relationship between boat owner, captain, instructor, and Divemaster. NAUI-specific information shall be included. – Each candidate is to present at least four assigned teaching presentations selected from the list of the 10 core diving knowledge topics. Each presentation is to be formally evaluated, but not graded for record. Presentations are to be 5 to 10 minutes in length. with instructors on open water training dives are to be covered in detail. large boat diving operations are to be discussed. problems associated with limited visibility diving both underwater and on the surface. NAUI Divemaster pret: 2.700 Lei (TVA inclus) / curs / persoana.